While I do enjoy and appreciate the ease of which I can listen to an audiobook and absorb the content of a variety of books, there are always a few books that don’t translate well into the format. Sure, I might have my qualms about the narrator’s pronunciation, volume control, or other technical issues. However, this is the first book where the rating I’m giving applies explicitly to the audiobook version, and not necessarily to the book’s contents. The difference here is that the audiobook version of Pascal’s Pensées doesn’t allow the reader enough time to adequately absorb the content. If I were to classify this book, I’d probably say it’s closer to a listing of complaints/observations that would work better on a multi-year “item-a-day” calendar than in an audiobook format. 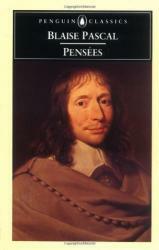 The majority of Pensées is a series of proverbs by Blaise Pascal, a name that most scientists will recognize. The fact that he so thoroughly analyzed the theology of the Bible and came to the conclusions that he did perhaps speaks volumes about scientific atheists today who have not done nearly as much research on their spiritual beliefs. 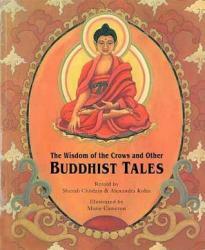 There are plenty of gems of wisdom in this book; it’s just that the audiobook format doesn’t easily allow the reader to dwell on them for more than a moment. Perhaps when I have a little more time to fully appreciate Pascal’s Pensées, I’ll sit down and read it. Fortunately, since it’s in the public domain, this book is free to read on Project Gutenberg. Until then, though, I can’t recommend people read the audiobook version of this text. If I manage to physically read this book in the future, I’ll likely give it an adequate rating, but as it is right now, I only have the audiobook version to go off of. A book of proverbs you should read instead of listen to, I give Pensées 2.5 stars out of 5. This book is an Ecclesiastes-type project. In some ways, you could say it comes to the same conclusions as Ecclesiastes. There is nothing better than to simply enjoy life, says the sage. Woven throughout this delightful commentary on the world in which we find ourselves living, runs the same thread of truth. This world is full of enough mystery and wonder to fill infinite life times; so wake up and discover it. Don't become numb to the inescapable miracles everywhere you look. With wit and humor, you will find yourself agreeing that humanism and materialism are the most bazaar and ridiculous of all philosophies. They are too inane to even warrant serious discussion. How does Wilson deals with someone like Nietzche? "I want to ruffle his hair. I want to take the poor Lutheran boy's head in my hands and kiss his creased forehead." This is perhaps a good illustration of this book's intentions. Wilson ruffles the hair of all philosophies which turn deaf ears to the noise that all creation is loudly proclaiming: there is a creator. One can almost imagine a serious-minded humanist bursting into laughter while reading this and realizing how deliberately closed-minded he has been all his life. 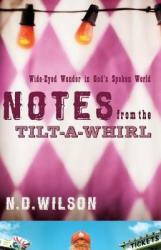 But Wilson not only opens our eyes to the wonders of God's design in creation, but tackles the mysteries of suffering, pain, and hell head on. He does not try to neatly sum it all up for us in trite sayings, but instead simply stares reality in the face. You will not find any sugar-coating in this book. An atheist once asked Wilson, "So do you really think I'm going to hell?" Wilson promptly answered, "Don't you want to? You won't have to be with God there. Whereas you would have to be with God all the time in heaven." In the end, Wilson concludes, everyone will get what he truly desires. This is enjoyable reading, much like the book of Ecclesiastes, and at times, could be categorized with the stream-of-consciousness genre. But it was refreshing, humorous, and most of all starkly truthful. You will be enlightened and refreshed! Having been a Christian for some time, I was familiar with the name Philip Yancey. I knew he often wrote books about Christianity and how those of us in the faith should examine some of the more challenging topics of our belief. 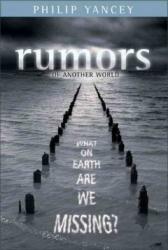 When I picked up Rumors of Another World from a friend, I was expecting an examination of the afterlife promised us in God's Word. Part of me was planning to use this book as a bit of research for my own fictional writing, or at least to give me ideas on how to incorporate a heavenly realm into it. In the end, this book was not what I expected. It has been a long time since I've read any Yancey, but I don't think this is his strongest work. My primary issue with it is that it tries to speak to too many audiences. If it either focused on trying to convince atheists and other scientific-minded individuals that there is a heaven and a hell or helping believers enforce their apologetics on the topic of the afterlife, it could have worked. Instead, it (almost ironically) sits in the middle of these two worlds, never diving deep enough to make a solid point about anything. Furthermore, while I appreciated the anecdotes and quotes from other authors, many of them were reused throughout the book, making the whole narrative seem repetitive and redundant. I mean, I get it: C.S. Lewis is an excellent writer with a ton of great quotes, but there are other Christian authors out there as well. In the end, Rumours of Another World provides a few thinking points for Christians and non-Christians alike, but it never really challenges our deeply held beliefs or leads us into startling, life-changing revelations. An OK book that breaks down some reductionist arguments, I give Rumors of Another World 2.5 stars out of 5. A great book with mini biographies of 7 men who made choices that changed their society and left legacies for us. The writing style is informal. I learned things about these famous men that I hadn't known before. 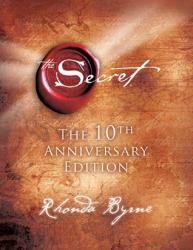 A great inspirational book for teens and adults. I grew up in the evangelical world. I witnessed first-hand the fanaticism of the believer. 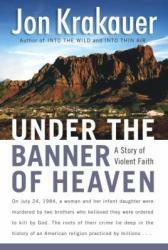 This book was interesting to me because it pulled back the curtain on the religious right, particularly in the 80s. Frank Zappa was right, there was indeed "50 million dollars in his heavenly bank account". I just wish there had been more pages devoted to this time in the author's life. Nonetheless, the author was honest and forthright about his upbringing and wrote with charisma. For a small book, it was definitely intense. Sam Harris is a great American intellectual and advocate for reason. In "Free Will", he really brings up an issue that really makes you reconsider everything you ever thought about what drives us as human beings. It leaves you to chew on what you just read and think more about why we do what we do. He inserts in some of his sense of humor too, which helps break up the pace. I only wish he could've expanded a little bit more, and gave more insight into opposing viewpoints. 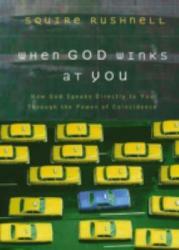 This book was another hit by Mark Batterson. It teaches you how to pray circles around your biggest dreams and fears. An inspiring read that I will read more than once. There is no one quite like Anne Lamott to provide an astute, thought-provoking, and humorous perspective on spiritual matters with such simplicity, honesty, humanity, and modest profundity that leaves one convinced that there are truly only three essential prayers that find expression in every human heart. No stranger to heartache, struggle, doubt, addiction, questioning, failure, angst, and chicken-heartedness, Anne’s writings resonate with all who keep an open, inquiring mind and a tender heart. I highly recommend that you read one of her earlier books (such as Traveling Mercies) to understand where Anne comes from and the forces that have shaped her thoughts and inform her wisdom. Very encouraging book. Lots of examples from her life and the Bible about trusting God about the future and hope for the hard times. The Truth War: Fighting for Certainty in an Age of Deception by John MacArthur is a must-read for Christians concerned with truth. In a politically correct world, “truth” tends to be described as relative to each person. Whether a person believes that gravity is “true” or not, the apple WILL fall from the tree. With the same certainty, MacArthur states that the Bible is God’s unambiguous truth - whether one believes that or not. His introduction is titled “Why the Truth is Worth Fighting For.” The following eight chapters describe aspects of what is happening in our world today, especially with regards to Postmodernism, the Emergent Church Movement, and False Teachers. I found John MacArthur’s book refreshingly honest, courageous, and like a drink of cool water. The book reminded me that Christianity is all about truth, not personal opinion. 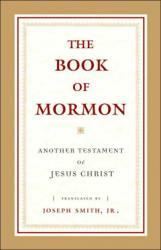 After reading this book, I am resolved that truth will always be important, and worthy to defend.